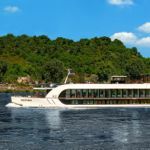 Looking for cruise holiday ideas in 2019? 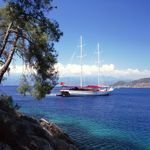 We’ve found a great selection of trips, whether you want to tour the Caribbean or the Mediterranean in style, or find something more exclusive and boutique. 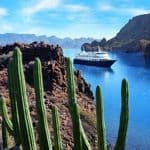 If you’re taking the kids, check out this great selection of family cruises. If you’re travelling alone, check out cruise holidays for singles. And if you are just dipping your toes in the water for the first time, or you only want to be away for a few nights, see this collection of mini-cruise offers, including the Scottish Isles, the Channel Islands and European cities such as Bruges and Amsterdam. 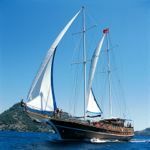 How about cruising Turkey’s spectacular southeastern coastline on a traditional gulet. Meander gently along the coast, mooring in crystal-clear bays, swimming in the sea, gazing at the stars and stopping ashore to visit historical sites. 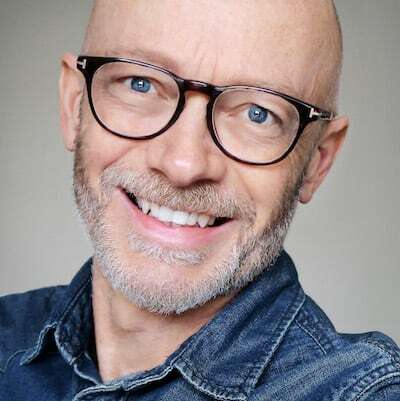 We recommend Peter Sommer Travels. For many, the ultimate cruise destination is the Antarctic. 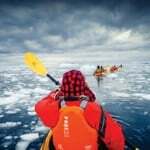 It’s a unique truly remarkable adventure, a voyage to a pristine land of ice and snow, populated by penguins, seals and whales. 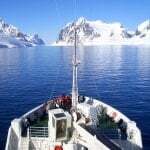 See this collection of expedition cruises. Crossing the Atlantic is more than a cruise – it’s an epic journey. And there can be nowhere more exciting to arrive than in New York City where you are greeted by the Statue of Liberty. 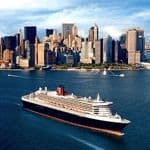 You can choose from a range of transatlantic cruises between the UK and the USA but the seven-night voyage from Southampton to New York (or vice versa) on board Cunard’s Queen Mary 2 is the pick of the crop. Details from Iglu Cruises. Take to the seas in a traditional rigged tall ship, exploring the lesser-known waterways of the Mediterranean, Central America and Caribbean. Enjoy the romance of the wind in the sails and get access to small ports out of reach of the bigger cruise ships. We recommend Star Clippers which has 3-, 4-, 7-, 10- and 11-night voyages as well as longer transatlantic and Indian Ocean crossings. Its ships include Star Clipper, Star Flyer and the 5-masted Royal Clipper. Sit back and watch the French countryside roll past on a luxury hotel barge. 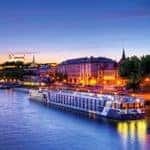 Choose from a selection of six-night cruises in Burgundy, Alsace-Lorraine, Bordeaux and the Canal du Midi. Each barge sleeps between 4 and 20 passengers and the price includes gourmet meals, fine wines, an open bar and shore excursions. You can also sail the Scottish Hebrides in a small boat with St Hilda Sea Adventures. Norway is stunning in summer – see the Midnight Sun as you cruise through a magical landscape of fjords, lakes and mountains. Options include a fascinating coastal voyage used by local people and cruise through the gorgeous and little-known Lofoten Islands. 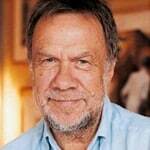 Details from Nordic Experience. Egypt is only five hours flying time from the UK, but a world away. It’s a great winter sun destination and there’s no better way to see than from the deck of a cruise ship sailing down the Nile. Details from Abercrombie & Kent.